Am I Going To Be Okay? is an American story with a universal message. Ms. Whittam traces her history in the form of stories about her all too human, and sometimes unhinged family; she throws a rope to the little girl living there, and in adulthood, is able to pull her out to safety, bit by bit. Her history is peopled with folks from a different time, a time before therapy was acceptable, 12 steps unimaginable and harsh words, backhands and even harsher silences can be spun to appear almost normal. She writes of a mother who would not or could not initiate love nor give it without condition, and a father, damn near heroic at times, abusive at others, a survivor with his head down and his sleeves rolled up. Ms. Whittam approaches her past with the clear-eyed tough but sensitive objectivity necessary to untangle the shame from the source. She speaks of the people that affected her life so deeply with an understanding of their time and place in American culture; a family not far removed from immigrant roots when men carried their own water, emoted misplaced anger, and with fresh socks and food found on the trail, were confident, unflinching and at that same time tragical- ly failing to the little ones they ignored. Like many of us, details notwithstanding, Whittam responded by numbing, running and gunning. Alcohol gave her hope, soothed a crushed soul for a time and wrecked her on a train, until finally she had the courage to accept it wasn’t working for her anymore. It was time to stop drinking and take inventory and accountability. It was time to accept, forgive and move forward. She healed where she was broken. 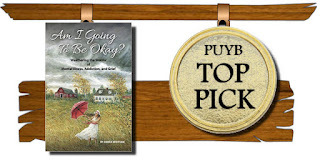 It is in the telling of this story that Whittam teaches us the difference between just surviving and surviving well, the importance of shared introspection and a careful eye on the wake we leave behind in our actions. Her story is a guide to surviving abuse and addiction. It is also about witnessing and dealing with the shrinking faculties of aging parents in the unavoidable circle of life. Finally, she offers a realistic sense of hope, forgiveness and a life we can shake hands with. Am I Going To Be Okay? 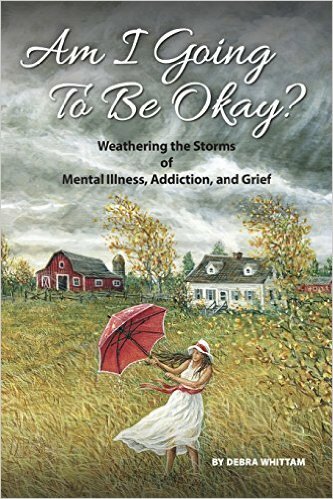 Weathering the Storms of Mental Illness, Addiction and Grief is available at Amazon. In my therapist’s office, during my first year of recovery from alcoholism, I saw one of her graduate school psychology books on her bookshelf. It was sitting alongside many of her self-help books which I had borrowed during the past year. I read several hoping to find a cure from my irrepressible anxiety that I had previously drunk away. I imagined the wordy text was far from my ability to comprehend as I was at that time only able to retain small bits of information. I asked my therapist if I could borrow that college text titled “Human Growth and Development.” I read it from cover to cover within a short amount of time and surprisingly, was able to digest and retain it. I had to quit doubting my ability. Being hard on myself was no longer the answer. I wanted more. That following summer I enrolled in a graduate course of the same name. I wanted to see if I could retain enough material to pass a higher level learning class. I loved it and I got an A.
order to keep myself safe. My intention in writing this book is to reach out to all who struggle with being frozen in fear of “what if.” This book may trigger emotions that have been shoved down so far they might not have a clear story to them yet. It might trigger memories of resentments, regrets or painful unhealed episodes of your life. These moments may have happened long, long ago or may have been more recent. We go back into the past to find answers. The idea is not to stay there long, but to find healing through understanding the ‘why’ of it. Then begin our process of learning to self-sooth and love ourselves. Nothing is going to happen that you can’t handle. Nothing. Isolated within my world of fear, I wouldn’t attempt anything outside of that small world. I had no foundation to stand on as a spring-board toward finding out who I really was, so I joined a 12-Step group. The beauty of being in a community of recovery, from whatever we might be working on, brings connection. at is what I needed so badly. I hope, within these pages, you are able to find a spark that ignites your longing for more. I urge you to find your own path of being okay by whatever non-mood altering way that makes sense to you; even, or especially, if it is unfamiliar to you. In writing this book, I intended to show how we can all go through our fears and do “it” anyway, whatever “it” is. 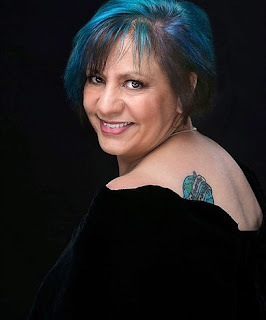 Debra Whittam is a licensed, practicing mental health therapist in Pittsburgh, Pennsylvania, who specializes in addiction, anxiety and depression, grief and loss. 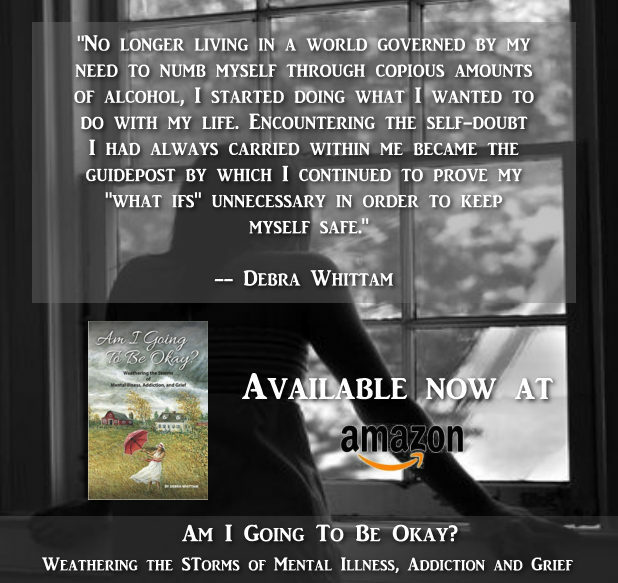 Whittam is passionate about her work in all areas of her specialties, especially addiction. Working in a detox unit for over three years before beginning her own private practice, Whittam realized, while counseling patients in the life and death arena of the detox unit, how much the loss of a beloved through death or a relationship impacted those struggling with addiction. In this memoir, Whittam skillfully infuses her memories, stories and professional insights to remind us that the most important relationship we will ever have is with ourselves. She splits her time between Pittsburgh, Pennsylvania, the Adirondack Mountains in upstate New York and Paris, France. Am I Going To Be Okay? 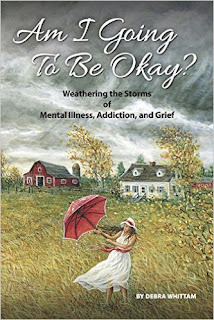 Weathering the Storms of Mental Illness, Addiction and Grief is her first book.